When you think of closing costs, you might get a glimpse of the light at the end of the home-buying process tunnel. You’re just one step away from being a homeowner! It’s an exciting time, but closing costs can be more complicated than the typical homebuyer might think. Prospective homebuyers can be taken aback by the many factors that go into closing costs, and the final dollar amount of the cost itself. Closing costs typically account for 2 to 5 percent of a home’s sale price, and that’s a hefty chunk of change you may not have expected to pay. For example, if you purchase a home for $180,000, your closing costs could amount to more than $3,600. The majority of closing costs are fees your lender is being charged by a third-party company. These costs aren’t usually settled until the end of the loan process, hence the term closing costs. Closing costs can include credit report fees, loan origination fees, home inspection charges, title insurance, appraisal fees, county record fees, and even the cost of underwriting the mortgage. These costs are not rolled into your loan, but they are all directly related to the loan. Examples of other closing costs that don’t stem from simply having and funding the loan are homeowner’s insurance, Homeowners Association (HOA) fees, home warranty fees, and commissions to your real estate agent if you’re using one. No matter what the factors are, one thing is clear: Closing costs can add up quickly. In most cases, the homebuyer is responsible for all or at least part of these costs. There are special cases in which the homebuyer does not have to pay these costs – namely, if you are a veteran using your VA home loan benefit. The Department of Veterans Affairs actually limits what veteran borrowers can pay for in closing costs. This is a wonderful advantage for military homebuyers, but even those who have not served our country can cut down on closing costs. You can negotiate and make closing cost deals up-front with your seller. Many sellers will offer to pay part of your closing costs to help get the home out of their hands and into yours. You can negotiate a specific dollar amount of closing costs, or ask the seller to pay half the end cost, for instance. Your real estate agent can assist you in this negotiation. In a hot market with low inventory, though, your seller may not want to take on those costs. 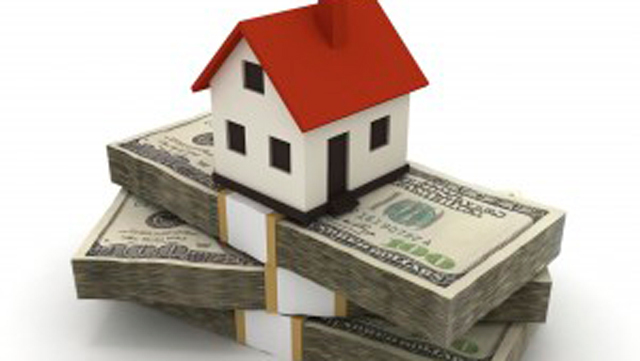 Closing costs vary by state and locale. Keeping this in mind can be helpful as you engage in the home search. Talk to several local lenders for insight into how these closing costs can vary by area and by lender. And just as you shopped around for your mortgage rate, you should shop around for closing cost estimates. Lenders aren’t obligated to give you estimates before you apply through them. By speaking with several lenders about these costs, you can get an overview of what you could be paying later if you go with their service. Additionally, some banks offer loyalty programs that help customers with covering these costs through lower origination fees. Check with your bank to see if they have this offer for you. Closing costs are just another part of the home-buying process, and for most people, it’s a given that you’ll have to pay some part of them. Purchasing a home is a large financial transaction, so it’s smart to cut costs where you can and make your dollars count. With this information, you could pay less in closing costs than you ever thought possible. Previous articleWhere Are We on HIV/AIDS? Ashley Taylor has worked in the mortgage industry for the past eleven years and his honored to bring Veterans United Home Loans to Richmond families. She lives in Richmond and is a mom of two children.